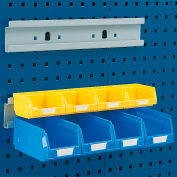 The double hooks conveniently store brushes, tools, and other items to keep workspaces organized. 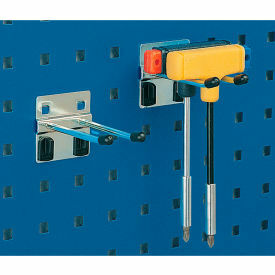 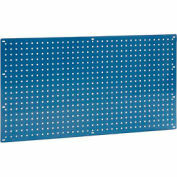 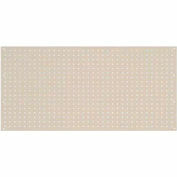 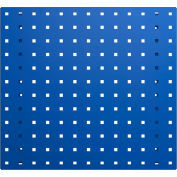 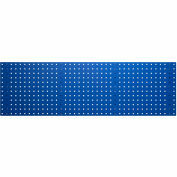 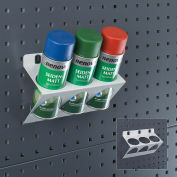 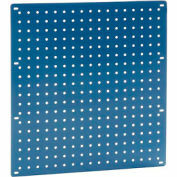 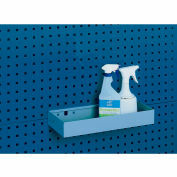 The hooks lock onto steel tool board panels and will not separate when tools are removed. 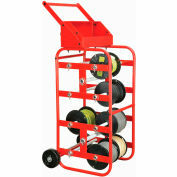 The steel construction provides lasting strength and durability. 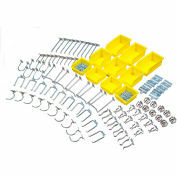 Includes the necessary clips for securing accessories. 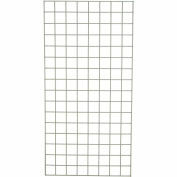 Package quantity is 10. 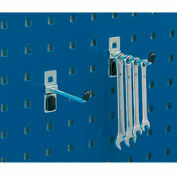 Zinc plated color finish.